That headline won’t make any sense unless you’re a Babylon 5 fanatic. (And if you love any science fiction, fantasy, or thought-provoking fiction whatsoever, go find it and watch the first four seasons). Ahem. I had a really good pow-wow with a couple of Squids yesterday, 2muchtrash and her partner. We talked about successes and failures, and about the challenges of making money and getting traffic to our articles. We picked our collective brains. 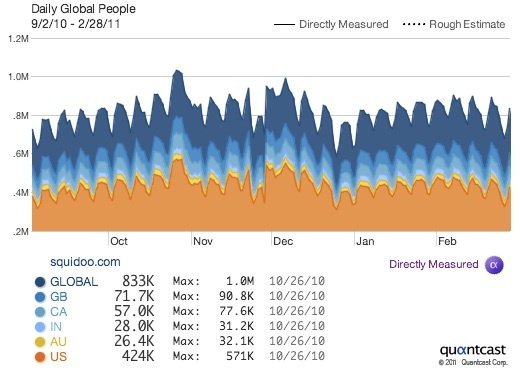 I coredumped everything I know about succeeding on Squidoo (which alas is still too scanty on earnings; I spent 3 of the last 4 years experimenting with ways to increase traffic). Even as we start to get comfortable with our skills, search engine algorithms and the way people browse the web keep changing. Even if they did not change, we never know exactly what Google, Bing, or all these different browsing platforms are optimized for: they never tell us, so people won’t game the system. All we know is (a) our own areas of expertise and (b) what visitors are doing on our pages, more or less. So once again I return to lens stats and traffic stats, digging up whatever information I can about user behavior. Because that’s where the staying power is, the one thing we can master that will survive the web’s inevitable evolution. We need to keep asking ourselves: What do our visitors want? What do web users look for, and need, and enjoy? What do the comments we receive tell us about our visitors? To turn it around, because those questions still sound like, “What can I get out of my visitors and how can I use their behavior to my advantage?” let us ask: What are we giving them? What function do our webpages serve? What GOOD is our content? Not “how good is it?” but really, truly, what purpose does it serve? What can people get out of it? Why do we spend so much time pondering backlinks and stats and keywords and Tweets and not what are we doing, what are we creating, and how can we make our content more useful, readable, interesting, and/or entertaining? What about article structure and form: not simply heat maps and click maps, but “How can I make this page as functional as possible?” the way Apple did when it designed the iPhone/iPad interface. We know content quality matters. So how can we improve our content? And why do we spend so little time thinking about it? Look at your own articles with the eyes of a total stranger who has the whole web to browse. Why yours? Is your content really good enough to hold somebody’s attention? If not, what’s missing? What kind of webpages appeal to you, and why do you find yourself reading them, visiting them, clicking links on them, or buying from them? I don’t have great answers, how-tos, or tutorials on how to make fantastic, useful content. All I can do is suggest we be a self-observers of our own web behavior, looking to see what we like and use. 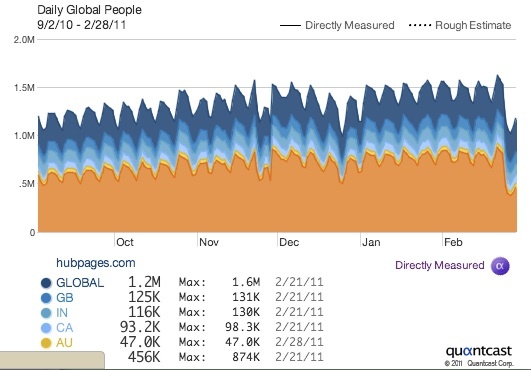 We can also monitor visitor stats, trying to discover what visitors like and respond to. It’s psychology (deducing what users want); it’s research (building exceptional content that isn’t simply rehashing what’s already all over the web); it’s writing craftsmaship. Quality isn’t everything: the web is so vast that people may never stumble across it. But really unique, excellent, useful pages have at least as good a chance of long-term success as ones put together strategically, following certain tips, checklists, techniques and “how to” rules. So, the manure has hit the rotary blades, and we’re starting to see some results from Google declaring war on so-called “Content Farms” in 2011. (When even mainstream news media hears about it, you know it’s big.) Various pundits and industry experts had ideas on what content farms are, but until we saw the traffic shake-up, we couldn’t be sure how Google defined them. Of course, I hear the little Michael Martinez devil’s advocate on my shoulder screaming “insufficient sample size, short-term data is inferior to long-term data”! but with that caveat, we’ve already got some apparent results. Go play with Quantcast to test your own favorites. 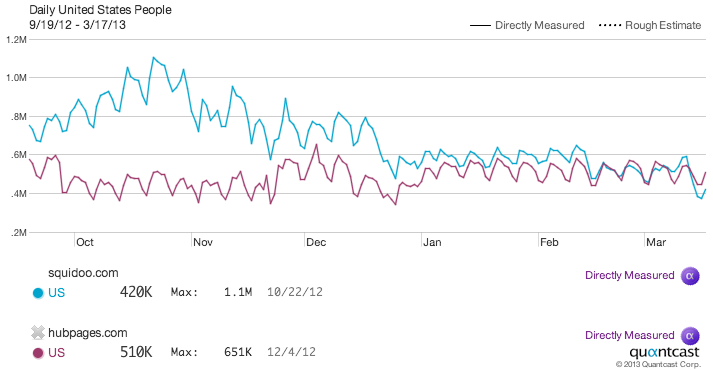 Some aren’t available yet (ehow, ezinearticles), or are CLOAKED (mahalo.com, surprise surprise) so Quantcast can’t measure them. For the big picture, see Danny Sullivan’s “Number Crunchers: Who Lost In Google’s “Farmer” Algorithm Change?” on SearchEngineLand, although Squidoo is too small a squid to have attracted detailed stat analysis by the experts, unfortunately. My own traffic stats reflect what Quantcast saw: in fact, my traffic has been increasing slightly since the change (repeat: limited sample size) not dropping. So what does this all mean for Squidoo users, most of whom publish on a variety of other platforms as well (including Hubpages)? 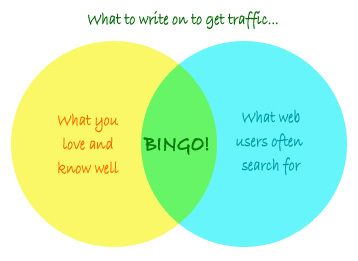 Traffic does not come to read what YOU like to write about. Traffic comes to find what THEY are searching for. 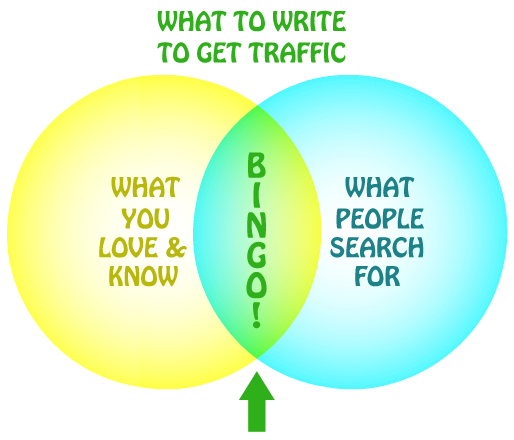 The key to getting traffic is to find the overlap between the two!